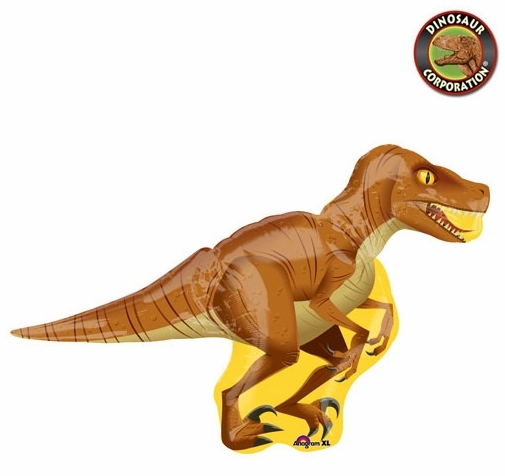 Giant Velociraptor Super Shape Dinosaur Balloon makes a perfect decoration for your upcoming dinosaur themed birthday party! Please note that balloons do not ship inflated. Have your dinosaur Super Shape Balloon filled with helium, which can be found at most supermarkets, florists, and party supply stores. Once inflated, this balloon can float for weeks!